Hey guys! Sorry it's been a while since I've posted. The past few weeks I was uber uber sick and had to go to the doctors multiple times and had to get blood work done. Needless to say, I was worried about getting blood work done since I never went threw it before but thanks to some of you who talked to me about it over Twitter, it was easier to overcome :) Anyways, I'm feeling much better now but the worst part is that finals week is next week o_O. I'm super not ready and I have to devote time to that so I can pass my finals and get good grades so bare with me just a bit more.In addition to that, I have a big announcement I want to make so keep reading for what I have to share. This past week, I barely had any energy due to my health and I was in bed pretty much the whole weekend. As much as I'd love to say it, I wasn't in the mood to play W101 or P101 so I decided to pursue something I have wanted to work on for a while. What is that thing I wanted to pursue? Being a DJ and making music. Now you may think, didn't Blaze already try pursuing a singing career? Yes, yes I did. I realized that that wasn't the best choice for me so I went back to the drawing board. I knew I wanted to do music but not singing. I've always loved up beat electro/dubstep/club music and have always loved to party (guilty as charged >.<) so this drove me to try making my own electro/dubstep/club music. But whats a DJ without a DJ name? 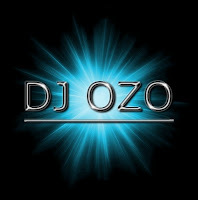 Thus, DJ OZO was born. I started messing around with this software called FL Studio 11 and I finally figured out how to make a few simple yet interesting beats. After 2 hours of playing with it, I finally completed my first original techno song called Tectonic. The next day, I went to school and shared it with my friends. They thought it was pretty cool but I wanted to do more. When I got home that night, I put aside my homework and started working on a new song which I wanted to focus on bass and a solid sound. Finally, Explode was made and I felt better about my music. Eventually, I decided that I wanted to do more and later that night, once again, I started to work on a more thought out song. With more experience with FL Studio, I spent 2 hours working on a new original song called Prison Break. It had a nice bass and I felt like it was pretty good. I felt very proud of Prison Break since to me, it was my first solid song. I still felt I could top that! Then I went on to making a new song called Robot Rock. It is by far my favorite song I have made and my friends thought it was pretty epic so I was like really happy. With all those songs made, I finally wanted to work on the main thing I wanted to do - make mixes. Two days ago, I started to collect and download various mixes from YouTube. Yesterday, I started to merge a few of them together and worked on my first mix. After 3 hours of mixing and merging, I finally made my first mix: Electro House Club Mix Ep. 1. I felt super super super happy about this because it was super super super epic and sounded very professional. I loveeeeee it and it just sounds so amazing. What do you think? Regardless, I am really enjoying what I am doing now and I am actually working on a few new mixes and original songs so I'd really appreciate it if you guys could take a moment and support me by checking out the following links. Hang in there, Blaze! You scared me a little by being gone so long. :) Glad to know you're OK now.